The replacement teeth are usually attached to the implant when adequate healing has occurred and your bone is firmly fused to the implant. Depending on a variety of factors, it may be possible to begin this phase of your treatment immediately or shortly after implant placement. We will review the most appropriate treatment sequence and timing for your particular situation. No two cases are exactly the same and regardless of the number of teeth replaced, the work must be completed with great precision and attention to detail. 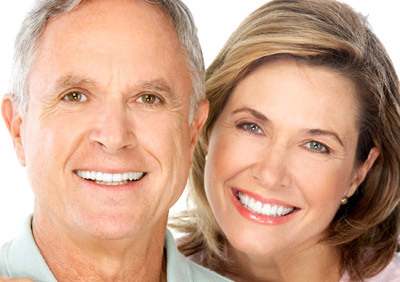 If you are having only a few teeth replaced, as few as three appointments may be required. Before treatment begins, every effort will be made to give you an accurate estimate of all the expenses involved in placing the implants and making your replacement teeth. In many cases, there is an initial charge for the diagnostic work-up, including study models, x-rays, and the fabrication of a surgical template to ensure the best possible result. In addition you will be charged for the abutment or support post(s), plus the crown, dentures, or anything else that will be placed over the implants, including temporary restorations. Periodic maintenance such as hygiene visits will also incur additional charges.